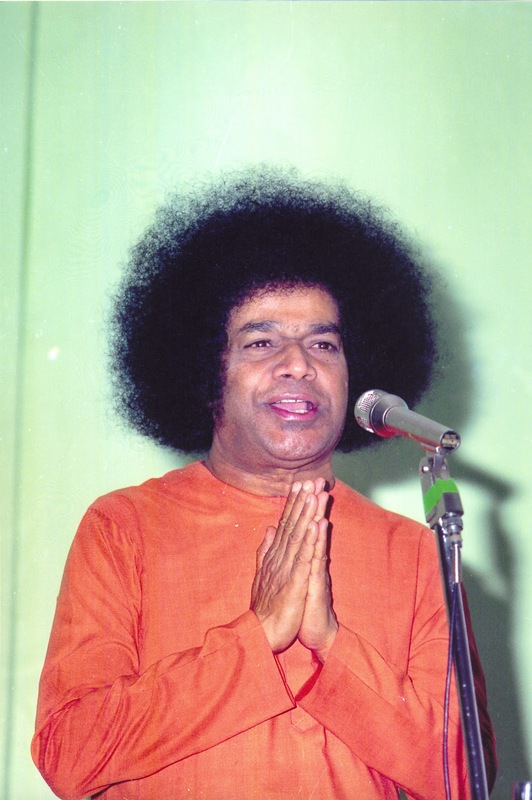 Part-I elaborates on the sacred origins of the SSSO and the Sri Sathya Sai Central Trust. It highlights Bhagawan’s specific instructions to the leaders and the office bearers of the Organization on how to run the Sri Sathya Sai Organization. The nine audio extracts in this posting are taken from the Discourses delivered by Bhagawan in the years 1975, 1980, 1985 and 1999. 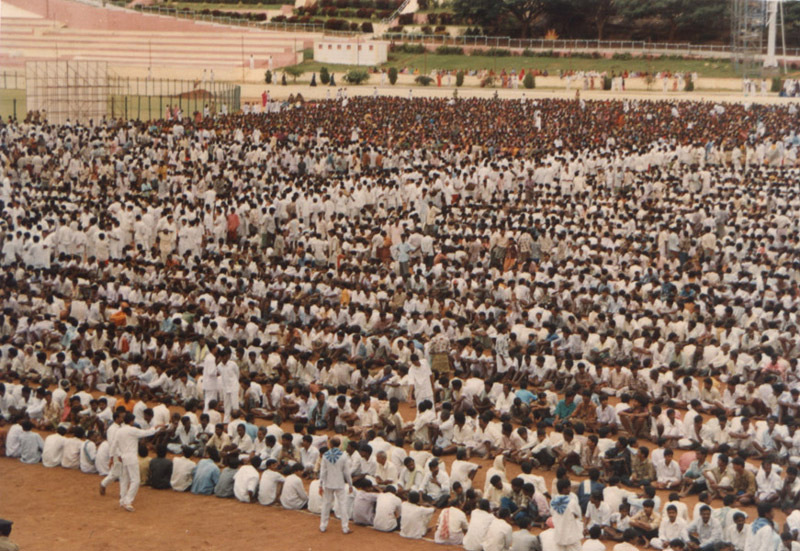 Clip-1 highlights the reason for which Bhagawan has given His name to the Organization. He says, it is for inspiring devotion in the members and not for propagating the name of Sathya Sai. In Clip-2, Bhagawan stresses on the need to name these Organizations as Sri Sathya Sai Centres and not merely as Sai Baba Centres. Clip-3 focuses on the noble intention behind setting up of the Health and Education Trust. 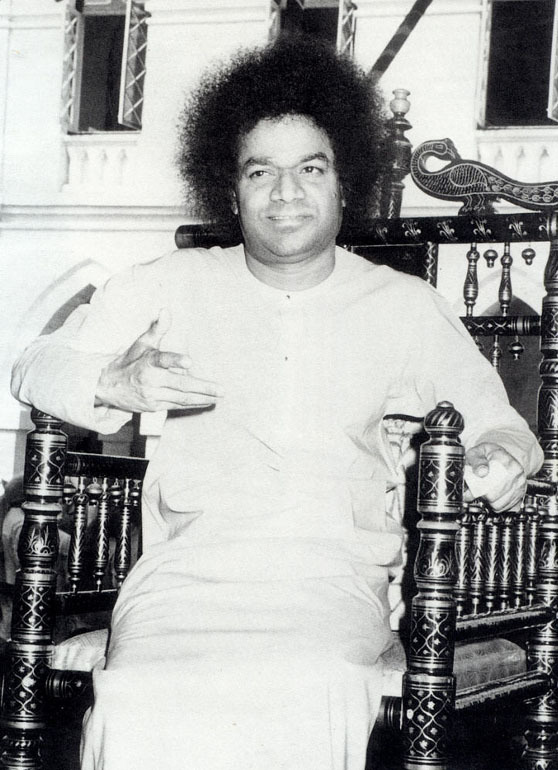 In Clip-4, Bhagawan explains the need for a Council of Management in every country to oversee the various activities of all the units of the SSSO. He highlights the need for group decision making instead of individual authority. In Clip-5 Bhagawan Baba stresses that representatives and coordinators in SSSO must be identified by Selection and not Election. Clip-6 emphasizes that all the individual units of the SSSO must work in perfect harmony and unison. In Clip-7 Bhagawan states that use of the term “Sai Family” is a very narrow mind set. He says, the whole world is one family, so why use the term “Sai Family”. Clip-8 makes it clear that Publicity must not be the way of the SSSO at all. 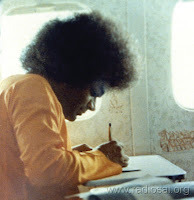 Bhagawan explains that silent practice must be the only means through which others must come to know about the SSSO. In the final Clip-9, Bhagawan explains the need and significance for holding World Conferences, like the one He organized once in every five years. It is essential to recognize the truth that these organizations have not been established to propagate the name of Sathya Sai. As so many other organizations have come forth in the world on account of which atheism is on the rise and theism is on the decline, such organizations (SSSO) have been started so that at least a few people will spread across the nation and across the world and preach the noble ideals. Let us take into consideration some organizations other then the Sathya Sai Organization. If there is some indiscipline or some Adharmic activities going on there, the members of the SSSO will have no right to go and ask them as to why they are engaging in such activities. If asked so, the members of those organizations may question, “Who are you (to tell us)?” Thus, we would have no authority. Therefore, to empower the members (of SSSO) with such authority, to prevent them from going astray and adhering onto the right path, a strict code of discipline and conduct has been laid down for the SSSO. The SSSO name has been specifically given to the organization so as to grant some authority to the members, so that they would be able to correct people going on the wrong path and bring them on to the right path. This name has not been given for Sathya Sai. The right or authority for the SSSO members and office bearers comes only when they follow the ideals of Sathya Sai along with the prescribed code of discipline. Sathya Sai Organizations in America, Mexico and other countries are called as Sai Baba Centres. There is no difference between Sai Baba and Sathya Sai Baba. However, the physical body of Sai Baba and the related organization is different. 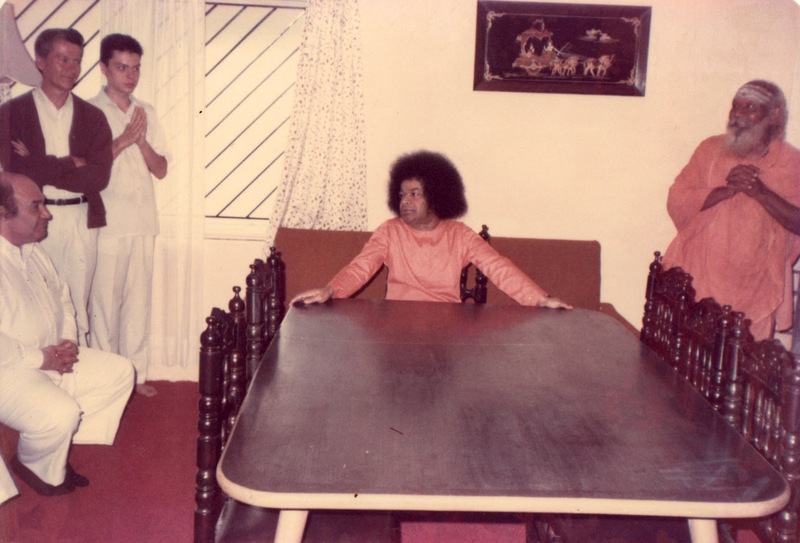 The physical body of Sathya Sai and the related organization is different. Therefore, if we enquire from a worldly point of view, differences do arise between Sai Baba Centres and Sathya Sai Baba Centres. In the name of Sai Baba Centres, a lot of preaching and propagation goes on. If we become one with them, we will have no authority to point out the good and bad in them. We will have every right to go to those who call their Centres as Sathya Sai Centres and point out the good and bad aspects in them and help them to walk on the right path. It is not only from the authority (to speak) point of view that we need to have this practice, but coming together like this, will make it possible to help them to lead an ideal life along the righteous path. It is not right for members of one organization to go and join another organization or to have relationships and connections between two different organizations. In our Bharath, the youth are getting onto the wrong path and are not making any effort to uphold the Bharatiya culture. At such times, with the noble intention of inspiring the students and making them into citizens who will promote the welfare of Bharath, the Central Trust deliberated a lot and then started a separate Trust called the Health and Education Trust and through this they wished to promote Educational institutions and hospitals. It is also their noble wish that the youth must be inspired in the moral, worldly, spiritual and Dharmic domains and through them the Bharatiya culture must be promoted. In the Western countries it is not possible to have the name “Sathya Sai Seva Organizations”, because they would not understand the meaning of the word “Seva”. They would mistake it for just “Service”. Calling it “Service Organizations” would also not convey the right meaning. Hence it is advisable to call them as just “Sathya Sai Centres”. Members of the Western nations, it is necessary to address you all in specific. There are certain differences in the traditions and practices of Bharath and your nations. Each Samithi, each Bhajan Mandali, each Seva Centre, each Study Circle, and each Satsangh may operate as independent units. However, for each nation it is necessary to have a Council of Management consisting of 5 or 10 members who would oversee the activities of all these units. Do not give any scope to individual authority. In the Council of Management each member should take up the responsibility for a particular unit of the Sathya Sai Organization and the Council must ensure proper interactions and interrelationships between the various units. The independent units must never have any dislike for each other, or consider one as low and the other as high or encourage any type of differences amongst themselves. If any differences are noticed in any one of the units of the organization, the Members of the Council must make an effort to get together and immediately resolve the issue, thus bringing about good cooperation among the various units. It is essential for all members to work in a united manner, like the fingers of one hand. It is My Wish and Blessings that bearing this feeling in your mind, and thus promoting the organization; you must soon, in a very short time, put an end to the disturbances in the world today and experience peaceful bliss; you must pray for the peace of all nations, for the happiness and welfare of all the nations, and of all the people. I thus bring My Discourse to a close. Some people are being troubled by some doubts. There are few who do not understand the feelings of the office bearers of the International Sathya Sai Organization. They are also not recognizing the connection and interrelationship with the World Council. An effort is being made to have some specific individuals as representatives for certain nations. How do we determine these representatives? Who will determine these representatives? Some people have lot of misunderstanding regarding this. Basing on the wishes of the devotees over there and according to their likes, they would like to select a representative. If we go by this approach, then there will be politics and it will be followed by election. In election, the love is completely destroyed. We will be misusing our love. If we wish to truly promote our love, then we must have selection and must not get into election. This selection must be done through the Central Trust. Fighting and creating chaos amongst themselves, they must not divide themselves in the course of arguing over matters. Be it the Samithi, or the Study Circle, or the Seva Dal; some wish that these should operate completely independent of each other, without any relation or connection between them. This is not correct. There must be a close link between all these units. A small example. This finger is the Seva Samithi. This other finger is the Mahila Vibhag – Women’s Wing. The middle finger is the Seva Dal. The next finger is the Bal Vikas. The last finger is the Bhajana Mandali. If these five fingers are chopped off and made independent, what remains? It is only when these five work collectively that we can accomplish any task. Therefore, in our organization, it is not possible for any unit to operate independently. All these units are like the rivers that flow into the ocean. Rivers have different names and forms before they merge into the ocean. Even the taste (of their water) is different. But once they merge into the ocean, they lose their individual name, form and taste and assume the name, form and taste of the ocean. Therefore, all citizens of all nations must become one with respect to the ideals of Sai. Every individual, with a narrow minded feeling refers to “Brothers and Sisters of the Sai Family”. “Sai Family, Sai Family”, this is such a narrow minded feeling. Therefore, henceforth, do not use the term “Sai Family”. That is, do not use the term “Sai”, because all belong to the human family. Some may like Sai, others may like Rama, yet others may like Krishna. In this congregation, there are so many people with different tastes and likings. I do not have such narrow minded feelings. You are all not members of a “Sai Family”. You are all members of the Divine Family of God. God is the same for all nations, for all families, for all times. One Name and one Form is a narrow minded approach. We must develop the broad mindedness that all Names and all Forms are One. We do not need any great publicity. We do not need to have any advertisement. Silence is our advertisement. We must work silently. There must be only mind to mind, love to love and body to body connection. You must acquire love only through love. Love will expand in the entire world. What is spoken somewhere, when broadcast on the radio, can be heard this very second in Kadugodi (Whitefield, Bangalore). Similarly, our noble thoughts are like radio waves. These waves have to spread only through love and not through broadcast. Prachaaram (publicity) is not at all the Aachaaram (practice) of the Sathya Sai Organization. Aachaaram (practice) is our Prachaaram (publicity). Therefore, with such sacred practice, we must develop our Organization, making it well known across the world. With the love principle, we must make the entire world stand like one family. When we are unable to see our own form, we hold a mirror in front of us. Similarly, when we are unable to recognize our Satvic (pious) qualities and Divine nature, we need to participate in such conferences, hold the Satsangha (good company) as a mirror and make an attempt to see our own true form. Whatever we see and hear in this world are all a reflection of our own inner feelings. When we think and reflect on our good and noble feelings, we will become deserving of witnessing our true form. Without cleaning the impurity that engulfs our mind, even if we take bath ten times, we will continue to remain impure. Therefore, we must recognize that these conferences are instrumental in purifying our minds. 01-What is the purpose behind Bhagawan Baba setting up the Sri Sathya Sai Organization? 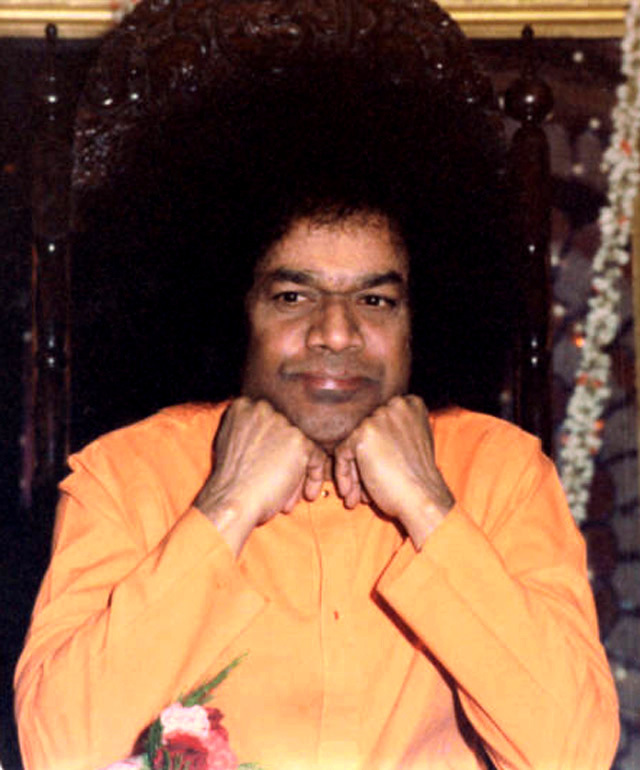 02-What are the various units that come under the banner of the Sri Sathya Sai Oragnization? (Though this has not been stated in the above audio clips, it would be an interesting exercise to list all of them). 03-When there is essentially no difference between Sai Baba and Sathya Sai Baba, why does Bhagawan say that the Centres must be called Sri Sathya Sai Centres? 04-What is the genesis of the Health and Education Trust started way back in 1975? 05-What is the role envisaged by Bhagawan for the Council of Management in the SSSO? What is the specific purpose that it would serve? 06-Why does Bhagawan prefer Selection to Election for identifying the Representatives and Coordinators of the SSSO? 07-How does Bhagawan illustrate the need for the various units of the SSSO to work in harmony and unison? 08-Why does Bhagawan discourage members of the SSSO from using the term “Sai Family”? 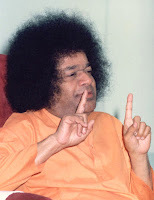 09-What is the form of publicity (prachaaram) that Bhagawan expects the members of the SSSO to follow? 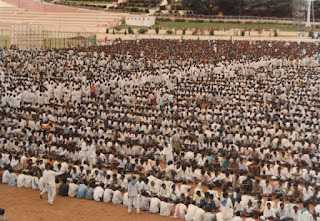 10- What according to Bhagawan is the significance of holding large gatherings like the Sri Sathya Sai World Conference? 11-How many World Conferences were organized by Bhagawan Baba?